While you or you child can get injured during most sports, some are more dangerous than others. When we think of head injuries, football is often at the top at list. This is to the point where many parents, even former athletes, will not let their kids play the game at a competitive level. While football may be first, lacrosse and ice hockey are not far behind. 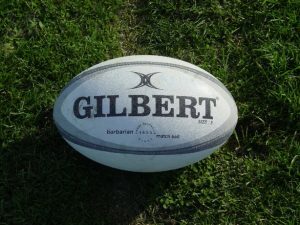 Rugby is often considered the most dangerous, but until recently it was not that popular in the U.S., so we don’t hear about it often, but that is starting to change. According to a recent news story from The Mercury News, a college athlete was left paralyzed following a championship win for his team. The 20-year-old athlete is now paralyzed from his chest down. He already had one major surgery, but he now only has limited movement of his arms and nothing below that. His family said they know it will be a long road ahead for this young victim, but they hope and pray he will regain his mobility. He was able to sit up in a chair while in the hospital a day after the surgery, and this is a very encouraging sign. It should be noted that there have been no accusations of negligence of any kind in connection with this tragic injury. As is often the case with a sports injury, he has seen support from not only his team but also from rival teams in the rugby community. Whether we are talking about head injuries or other types of injuries, including those to the spinal column that can result in paralysis, there is no question that these can not only be fatal, but even if they are not, they can have a serious effect on the quality of life for the victim that may be permanent. This is not a situation any victim or victim’s family wants to go through. In some cases, it is simply an accident that is a risk of the sport, and there is nothing that could have been done to prevent it other than not participating in the risky activity. However, in some situations, accidents happen because coaches are not paying attention to what is going on or putting the athletes in harm’s way and doing so needlessly. As our Boston personal injury attorneys can explain, if your school-age child was seriously injured during a practice, you should seriously investigate the cause of the action and see if there was any way it could have been prevented. This can be a hard call for someone who is not familiar with the laws about negligence, so it is often best to speak with an experienced personal injury attorney to see if you have a case. While it is true that it may turn out that you do not have a valid claim, you should have the peace of mind to know that an experienced personal injury lawyer reviewed the facts pertaining to your situation and gave you an honest assessment about the likelihood of you receiving a full and appropriate financial recovery.